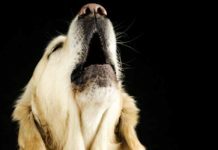 Home FAQ and help Is Your Dog Home Alone: How Long Can You Leave Your Lab? 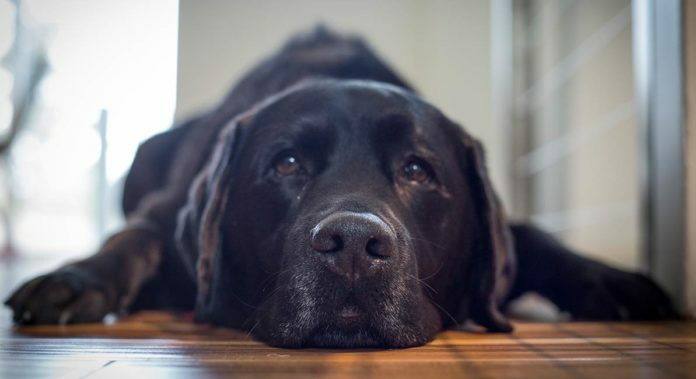 Is Your Dog Home Alone: How Long Can You Leave Your Lab? Is your dog home alone today? Are you thinking of leaving your Lab home alone in the future? How long can you leave a dog alone while you are at work? Can you get a Labrador, or any other breed of dog, if you work full time? Are there dog breeds that can be left alone during the day? It’s full of tips and information. When I was a child, many women gave up work when their first child arrived. And many never returned to work, even when the children were grown up. Dogs grew up as part of domestic life. They were often free to wander the street and visit neighbours during the day, returning home as intervals. But it was unusual to find dogs home alone for long periods of time. Things are very different now. Yet, the urge to bring a beautiful puppy into our lives is just as strong as ever. In most modern families, all the adults work full-time. Both up to and after the births of their children. In the UK, many ordinary family homes are locked up, quiet, and empty, from around eight in the morning, until after four in the afternoon when children start trickling home from school. In residential areas whole streets may be eerily empty during the working week. Yet in many of these streets, behind each front door, lies a dog. If you listen carefully outside the window, you may hear him snoring quietly, or pacing up and down. Of course, not all dogs accept their solitude in relative silence. Some home alone dogs can be heard howling from several streets away. But are these noisy dogs, or indeed the quiet ones, suffering? Is it wrong to get a dog and then leave it alone all day? We know that dogs are very social animals. They prefer to live, eat and sleep alongside members of their family. Their ancestors, wolves, live in family units. It only makes sense that not being around the people who raised them might make them anxious. Arguably there are few breeds is more sociable than the Labrador Retriever. Bred for generations to have a close relationship with his human family, there is no doubt that some Labradors become very distressed when left alone for long periods of time. They may bark and howl. They may chew up the fixtures and fittings in their home. And they may make a mess in the house within minutes of the owner’s departure. These behaviors have been filmed and recorded in homes where dogs are left alone by their owners. So if leaving dogs alone can cause this kind of stress and upset, is dog ownership a pleasure that should be restricted to the unemployed? Or to the few people that are supported financially by a partner so that they can stay at home? Some people certainly think so. Or are there ways to combine a full-time job, with the ownership of a healthy and contented Labrador? Well, it would seem that up and down the country, lots of people are doing just that. It is clear that some dogs belonging to full time workers, are happy and contented dogs. What makes a contented home alone dog? By contrast dogs with separation anxiety will have a bad time of it. Not only this, they’re also prone to making a lot of noise. Dogs suffering in this way might destroy your furniture out of frustration. What are those with happy home alone dogs doing, to make it work for them? Well it seems that contentment in dogs left home alone is partly down to the temperament of the dog and partly down to the way that the dog is raised. Are there dog breeds that can be left home alone? Studies have shown that some dogs are naturally more prone to seperation anxiety. These dogs have a pessimistic outlook on life. They’re just more likely to worry about whether you’re coming back. 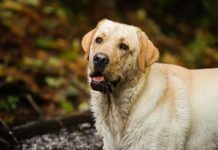 While this isn’t necessarily breed specific, some very sociable dog breeds, and Labs are one of them, are more prone to being distressed by separation. Some of the hound breeds are less dependent on human company than sporting or herding type dogs which form very intense bonds with people. So how do we raise a Lab that is contented to be left alone for a while, without feeling lonely, and without tearing his home apart or leaving unpleasant mess to greet the returning family? We can reduce the likelihood of a dog suffering from separation anxiety by introducing short periods of separation into a dog’s life at an early age. So does that prohibit working couples becoming pet parents? The answer is no, you can still have a dog if you work. Let’s find out how! There is no doubt that some working men and women seem to be making a success of raising a dog that is happy, whilst holding down a full-time job. And I wanted to find out what it is that these people do, to keep their dogs happy. What makes it a success for them. So I started a thread in the forum, asking for people’s thoughts on this often contentious topic. And how long they actually left their dogs alone. It soon became clear that the happy dogs of working owners were not actually being left completely alone for very long periods of time at all. Most of their owners had gone to some lengths to ensure that doggy day care arrangements were in place. These dogs had company, and a chance to use a toileting area, at least once, and usually more, during the working day. These ‘home alone’ dogs weren’t actually home alone all day. They were being regularly visited, walked and interacted with, at intervals throughout the day. It was obvious that the owners of these dogs had gone to a lot of effort and in many cases financial cost, to ensure their dog’s comfort and happiness whilst they worked. Some were using professional dog care services such as day care centres, and dog walkers. Others had support systems in place involving family members, neighbours or friends. The sixty million dollar question is of course ‘how long can you leave a dog alone’. No-one can tell you what you should do with your dog, but it seems reasonable to state that leaving a dog entirely alone for a full working day, is not at all ideal. Unless your dog has access to a secure and dog proof outdoor enclosure you need to think about his bladder capacity. In an emergency some adult dogs will cope with being left for six to eight hours occasionally. This doesn’t mean this is nice for the dog, though. And dogs that are repeatedly left for this long may develop behavioral issues such as soiling in the house, destroying flooring or furniture, or barking incessantly. The people I meet who work full-time and have happy dogs all seem to have some kind of arrangement in place to ensure that their dog is never alone for more than four or five hours. Perhaps the part of this issue that is most contentious, is that of small puppies. 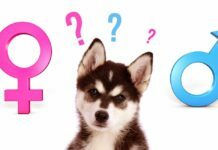 I often get questions in the comments section on this website, from new puppy owners that are leaving a puppy alone for 8 hours whilst they are at work, and are not happy with the outcome. It seems that they have purchased a puppy without arranging any kind of day care at all. They can’t understand why the puppy is destructive or noisy whilst they are out. Some people are successful in raising a puppy to cope with the working day. They all seemed to have made provision for a gradual introduction to the new routine. Many take several weeks off work when the puppy first arrives. This helps get house-training off to a good start. Some have relatives in to help for the first few weeks. Leaving a puppy alone at home for the first time should only be very brief. You can gradually introduce the concept of being alone. Don’t forget, it isn’t just a question of making sure puppies have constant company. In fact, puppies need to be taught to cope with being left alone for short periods of time. This is best done at an early age, if they are to cope with spending time alone later. And this needs to be done in a gradual and structured way. But your full-time job need not be an impregnable obstacle if you are willing and able to arrange care for your dog in your absence. Working parents of young children have to make child care arrangements. Likewise, we need to take the responsibility of dog ownership seriously. And fulfil our obligations to make sure he is looked after properly and his needs met. If you can do this, there is no reason why you should not have a dog. You may suffer and miss your dog terribly whilst you are at work. But, if he is regularly visited and exercised by a caring person whilst you toil at your office, he should come to no harm. 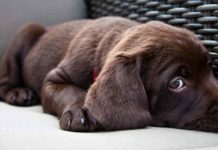 If you cannot afford day-care or a dog walker, and don’t have anyone to help you, then right now might not be the best time for you to bring a Labrador into your life. Leaving a highly social dog alone day in and day out is asking for trouble.he comments on this website clearly demonstrate this. Do you work full-time? How do you ensure your dog is cared for in your absence – share your tips in the comments box below! Next articleLab Collie Mix – Is This Pup A Great Pet? Why Does My Dog Smell – And What Can I Do About It? 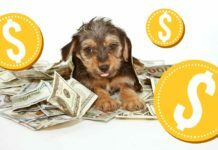 Most Expensive Dog – Which Breeds Cost the Most? 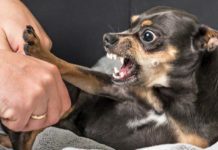 Dog Bite: What to Do If Your Dog Gets Bitten? Do Labrador Retrievers Bark a Lot? As a uniform services man, I work odd hours. Raising our puppy has been a struggle but also easy. Personally, I don’t think it’s nice to leave the dog alone for hours but sometimes you have no choice. My wife had to come back during her lunch hour to walk my dog occasionally but it’s never practical. Anyway, now we have a dog camera on a dedicated server IP, feeding straight to our UK web hosting provider and we can see our lovely dog on demand through our phones and he gets long walks most nights to keep his fitness level up. We have also installed a dog gate so he can access the garden using those GPS controlled flaps. We sadly had to say “goodbye” to our beautiful yellow lab after 12 years in November. We made the decision to purchase a puppy through a breeder and because our son was still living at home and our daughter was a junior in high school we never had to leave her home for long. I also worked close and went home on lunch hours. Animals will adapt to how they are raised. My husband and I would like another companion at this time. We moved a few years ago so I can no longer go home for lunch. I too am concerned as to if it would be fair to have another dog. We were looking for an older dog to give a home to. We have grandchildren and granddogs so would want to find one that is compatible. There are anywhere to a half million or more dogs without homes in the United States alone. If people would judge us because we want to give one a loving home, that is too bad. The benefits for all are immense and we still have a lot of love to give. Not a fan of daycare but would consider it. Missing our doggie every day. . .
Our solution, since Labs are social, is to have two dogs to keep each other company. Our dogs also have outdoor access to a securely fenced half acre property, and the comfort of an indoor area to sleep. The moment we leave we give them a Kong filled with peanut butter and treats. They happily work on that while we leave, and they don’t seem to have anxiety about our leaving. As a firefighter I work 24 hours on 48 off 36 on 36 off as I also have a part time job (this schedule repeats). Raising our puppy has been a struggle but also easy. On my off days we have no worries when my fiancé works however if she works on the days I work we have a family member watch her. We very rarely leave her home when we go to stores except to like Target because they don’t accept dogs. We do call every store before we go to see if they accept puppies/dogs and if they do our dog is coming. Personally I don’t think it’s nice to leave dog alone for hours. I have to come back during my lunch hour to walk my dog. Maybe, it’s me who needs the walk more to burn all the calories I take, ha ha. Anyway, the dogs have human like traits and checking on your dog keeps the dog happy even though I still have a dog monitor to check on her every few hour just incase she decides to rummage the bins! I know my Kiki likes it as she showers me with cuddles when I walk in during lunch hour and after work. I’d say it depends on the dog but we have had two raised from puppies and crated (one longer than other) and they did not mess. Left for 4-5 hours. I’ve just read the article on full time working and owning a dog. We have a 5 month old fox red lab called jasper. When we got him at 8 weeks we took 4 weeks off to train him and settle him in but even this extended period of time didn’t feel like enough. We very quickly made the decision to use doggy day care and it was the best decision we made – jasper is a very relaxed, sociable and happy pup. It is honestly like having another baby and we took the view that we brought him into our family therefore we had a duty to make sure he has a happy and stimulating day. He is returned about 1.5 hrs before we return – enough time for him to nap in his crate and relax – this keeps him used to spending some time alone. In the evening and weekends we make sure he spends quality time with us – there is no negative impact on his bond to us.I believe day care has given us the best of both worlds- the joy of having a dog in our life whilst working full time. I have had dogs for years and worked full time and all seem to have been happy, healthy well adjusted dogs. I currently have a young lab, nearly 3 years of age. He has been with me since he was 7 weeks old. I took time off when he first came home to enjoy ihis puppy hood and introduce him to what would be his routine while away at work. Prior to my little pups arrival I built an indoor/outdoor run in the garage/yard, so that he has access to the outdoors while I am away. His outer run is large enough that he can run around a bit if he chooses. He learned to use the dog door and potty outside quite quickly. I leave him with a dish of water, one inside and one outside during the warm months, his bed and a few toys that he couldn’t destroy. While he was young, I rotated his toys to prevent boredom. Now that he is older he take what he wants. During teething, he spent much time chewing on the steps that I had built for him to go in and out, but other than that, I haven’t had any real trouble. This has been our routine for nearly 3 years and he happily hopes to his run every work day and waits for me to close the gate. When I return home after a 10 hours day, he happily greets me at the gate and the rest of our evening is spent together. He is also my weekend buddy and goes nearly everywhere with me. My Lab is a very happy, healthy, well adjusted and we’ll socialized dog, I don’t believe he is deprived or neglected. If you met him you’d definitely agree. There are a couple of people who have puppies aged around 1 month, which really worries me. These puppies should not yet have left their mother. If the breeder allowed them to come home, then they are not a responsible breeder. 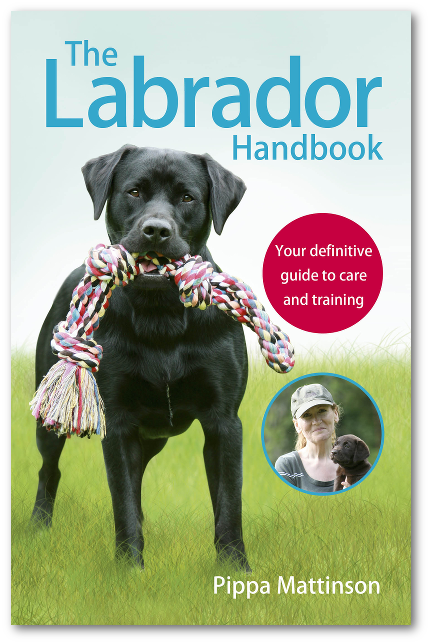 I think everything goes to show that if you want to have a dog, especially a highly sociable and active dog as a labrador then you must be prepared to give up time for it. Whilst I do not work full time, I run my own consultancy business which means that I need to be out visiting clients at times. I make sure I never leave my lab, who is the joy of my life, more than four hours. Apart from the fact I dont want to I worry that she gets bored. She has at least an hour’s walk in the morning and then 45 minutes in the evening. They respond well to routine. I would not have considered having a dog whilst working full time, because I could not give the time necessary to looking after one. Now that I have a dog, I understand the commitment that is required. For the first two weeks with my 10-week old puppy, I almost did not leave the house, focussing my attention on her so that she settled in well. I cannot imagine how you can do that whilst you work full time. If someone does work full time, they must be able to break up the dog’s day either by popping home or by arranging a dog walker. You would not leave a young child on their own and should not leave a young dog for long periods of time. I wanted to have a dog… but now I wont thanks to teh experts… I am a lowlife employee that has to work for 10 hours per day with 1 hour to eat at the cafeteria because i live 1 hour away from home driving… therefore, i get a dog it will become the most miserable being in thsi World based on the article as I hardly make money to support me (and ofc the future dog)… I dont have a family due to it, I live alone… and I will die alone then as I cannot go home each 4 hours so that the dog is not sad. I know that I am sounding like a prick but honestly I am frustrated, I really wanted a dog, a companion to love him… but EVERY expert says that they cannot be alone for more than 4 hours… so WTF do i do… should I go unemployed and live under a bridge so that the dog is happy? Should I know have to spend thousands in a daycare for dogs when it is hard to get to end of the month? or should I wait to win the lottery?… I know you had your best intentions while writing this but you are actually discouraging ppl… I was planning to adopt one, but I dont want to make someone else to suffer the miserable life that I have to live. I am sad for you – it sounds like you cannot afford a dog right now. I hope things change for you so that you can bring a dog into your life before too long. And if I am discouraging people who are not in the right place in their lives to give a dog a good home, then I think that is the right thing for me to do. It doesn’t stop me feeling sad for all the people in the world who can’t have a dog right now. My husband and I both worked and we had a Lab, got her as a puppy. He was able to come home when she was younger to let her out during his lunch. Funny thing is we went to adopt a dog and they would not allow us to stating that we were “unfit parents”. Our first Lab went everywhere with us including our honeymoon and is in our wedding pics. The bigger issue I see with you having a dog is that having to work 10 hours and the 1 hour ride there and back, will you have any energy to play with the dog when you get home? Labs especially do not just need attention, they demand attention. You may want to consider a cat till you are in a better work situation…they really do not mind being home alone, you could get two if you did not want one to be alone, they do not have to go outside, you would not be coming home to an empty house, there are a lot of cats that need loving homes and it sounds like a cat would be perfect for your lifestyle. No it is not a dog, but they are loving animals too. You could always get a cat. They can be left alone for a few days with a full bowl of food and water and a litter box, although that’s not the ideal situation. They are perfectly fine alone for 10 hours and then will curl up on your lap when you get home. Don’t get discouraged, all dogs are different. My son has had labs for years, as have I, and he works long hours. Most days he’s gone 9-10 hours! The dog has his own room with a king size bed, tv and radio on. Not ideal but it works for them and my 50 yr old divorced son has the companionship of his dog. Hi, I work permanent nights (2 together then 1 later in the week) my other half is in the forces so away for long periods. We currently have a westie who’s nearly 11 and she’s used to my working pattern and gets a long walk in the morning and a slightly shorter one in the evening and we have a cat too. We’re thinking in the future to maybe get a lab puppy. We know some of the arrangements that need to be made, we’ve looked into overnight stays with dog sitters whilst he/ she’s a puppy and little bladder control, and then a dog walker for when they’re older as a last thing at night 10pm walk. Just wondered if others that work nights or are in a similar position could offer any advice. Hi. Yes I work the overnight shift. 6:00p.m-6:00a.m. 4 nights a week. My last lab lived almost 15 years with that schedule. I would always have a neighbor let him out between 9:00 & 10:00. The first couple of years his home was in the laundry room, then after that he had free reign of the house. He would get a long walk in the morning after I returned home. Lots of play time in the afternoon before I returned to work. And lots of extensive quality togetherness and fun time on the weekends. He was a very happy dog and lived a fruitful life. Now I have A new puppy Labrador ( 11 weeks young ) and I have the same schedule planned for him with no second thoughts. One advantage with working the night shift is that dogs usually sleep during that time anyway. I have just rescued a labrador from the street. He is not even two years old. He is jumpy. happy and a playfull dog who had a hard time learning how to walk on a leash. I have almost 9 hours job but I take him out for onehour long walks after dinner and half an hour long walk in the morning. I work nearby so I come home in the afternoon to give him food and take him out for peeing. He is still adjusting but seems to be toilet trained therefore has never done anything inside the house. However if I had to leave him for long time then I would make sure that he has a dog walker who walks him for half-an hour in the afternoon and gives him food. Could I take a Labrador to work with me for around 5-6 hours a day. He would get his own room and be allowed to roam around the workplace freely? Do you think I could do this. We have a Labrador but between us both being able to work flexibly and / or from home and 2 days a week with a dog walker, she is only on her own for about 1 afternoon a week.. I am not sure if we would have gone ahead with getting a dog if we couldn’t manage these arrangements.. More and more companies are offering flexible working arrangements so it is definitely something to look into.. I want a dog but work full time. Any advice on how to look after a dog? We could confine it to the kitchen which is quite big. Would be able to give it a nice long walk in the afternoon/ evening and a quick 10-20 min walk in the morning. The dog Would be alone from about 8-4 on weekdays. It would be left with lots of toys and a mat to go toilet on. We also have two cats but not sure if they would get along. Could this work? Hello everyone. I must say that I am totally new to this whole world 🙂 I will be taking care of a Labrador puppy and I work full time however I work on different shifts each day. Sometimes from 7 to 15 pm, 15-23pm 23-7am and 17-1am. I work very close to my home which is 5 mins away by walking. Could you please give me any advice on how I could begin to raise the puppy from people that have/had my working schedule or similar? The puppy is little bit more than a month old and it has been vaccinated and all. I would be really grateful and thankful for your advice! We have a 18 month old black lab. She is on her own Monday to Friday, most of the day. We get up at 5:00, she gets a run and play and one of us is here until 08:00. We have a dog walker take her out for 45 mins at lunch time. Then one of us is back in from work at around 17:00. We have had a ‘dog cam’ on her on many occasion and she just sleeps all morning and all afternoon, no problems. The only thing I would say is training is much harder. Not having someone with her every day to ‘train on the go’, means having to put a lot of work in at the weekend. Worth every minute though. We both work full time and our 11 month old puppy has done well. We get up early at 430-5 am and ensure he gets food, water, a nice 30 min walk and time to run into each child’s room to lick and wake them. I leave an hour after my husband and give him a quick 5-7 min walk in cul de sac before I leave. He gets his kong and chew toys and stays in the laundry room till I return 8 hours later. He then eats dinner and gets to ride along with me to every child’s activity and ends the day with a 40 minute night walk. He is always happy and often sleeps with me to compensate for the guilt I have. He looks happy. Am I doing the right things? We have 3 labradors. We both share responsibility to ensure one of us comes home at lunch time to give them a short walk and treat. Luckily we are 20 mins away and can take flexible hours for a longer lunch. The maximum time they are left at home alone is 5 hours. Often my husband also works from home too. This works well for us and the dogs all seem to be fine with the routine. I wouldn’t be happy to leave them for much more than 5 hours at a time. We get a dog sitter for evenings out if we are going to be away longer than 5 hours too. ? We have had labs for over 20 years and for most of that time we have had full time jobs (apart from a few years raising children). I think that having a companion helps. We have 2 choc labs And we have 2 cats who get along with our dogs. But there are several things we have worked out over the years that have led to happy labs while we are out of the house. Firstly we don’t let our dogs have the run of the house. This is too much responsibility for them. They prefer to be confined to one room. They have plenty of toys, balls etc to chew so they don’t get bored, access to clean water and they always go into their room when we leave with a treat and this is the only time they get treats so they have associated us leaving with the pleasure of a treat and a toy. I have only ever taken jobs that mean I can get home in my lunch hour to let them have a toilet break and a bit of company. On top of this we stick to a strict routine all week long (weekends included) for feeding and walking and getting up in the morning as routine seems to be important to labs and again it makes for a happy and content dog. 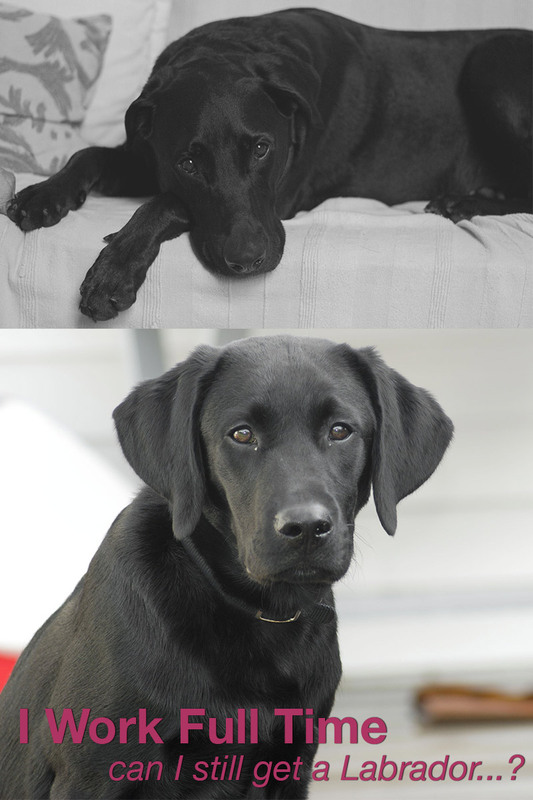 We have also bred our labs over the years and puppies have mainly gone to homes where people work. These families all use dog walkers or doggy day care and all of our puppies are happy, sociable and settled dogs. My advice to anyone is make your leaving the house a calm but pleasant experience for the dog. Get up a bit earlier so there is no rushing and stressing in the morning and you follow your dogs routine. Do try to get someone to visit your dog during the day or if possible, come home during the day yourself to spend a bit of time with them. I really don’t think it’s fair to get a dog and then leave it on its own all day long. If you can’t afford dog walkers or day care then you can’t afford a dog. Their needs are as important as yours so if you can’t adapt your life to cater to a dogs welfare then don’t get one. An unhappy stressed dog will never be a pet you can enjoy and these situations often end up with the dog being rehomed and labeled as troubled when all they are is unhappy with the life you have chosen for them. We have two labador retrievers. We have always made sure that they had company. It seems to help. Neither are destructive in any way at all. They were both crate trained and would go in their crate anytime we left the house at first. After a year, we put the crate away and left them together. Unfortunately, one now has arthritis in her spine and hip dysplatia so they are separated by a gate so that they don’t play rough when we are not around. They have accepted this and handle it very well, although they are sad when we leave. They are generally home a total of maybe 3-4 hours without a human which is because we have different work schedules which works out great for them and for us. Hi pippa,I have a Labrador puppy almost 1 months old. Since I brought it home I do my best that it healthy and happy,but it does not eat when I give him his food but when I give feed the food I eat it will eat and recently I went to the vet and they told me that I should only give the organic and if it does not eat I leave to starve so it that can the food that it’s supposed to eat. What should I do? Hi Pippa, just looking for some advice – my partner and I have an 11 week old Lab and we both work full time. He got used to being on his own quite quickly which is great. We keep him in the laundry when we are gone with a baby gate across the entrance so he has a bit more room rather than shutting the laundry door. We’ve noticed that he seems a little “bored” or upset when we get home. He isn’t destructive and hasn’t wrecked anything, he just looks like he wants to be outside (ie. he just sits in his bed and waits for somebody to let him out). When we’re home we open the back doors and he is free to come and go as he pleases. We’re just wondering at what age can he be outside on his own whilst we are at work? Naturally we want to work him up to it, a few minutes outside at a time where he can’t come back in, working up eventually to full days. I work from 7am til 3:30pm and my partner starts work anywhere between 7-8:30am an gets home 3:30-5pm. So most days it will be a 7 hour period he needs to be outside. We’re renting so we’d prefer not to have him inside where he might pee on the carpet / destroy the house. We also can duck home on lunch breaks to break up the day. And when he’s had his second vaccination in a week we’ll be able to walk him and take him outside a lot more as well. I’m lucky enough to be an “uncle” for a close friend’s chocolate lab puppy. My mate is a paramedic and has long shifts, so I (self employed and working from home) am able to offer company for the chocolate pudding (Bobby) on several days when he’d otherwise be left alone for over 12 hours. It’s delightful. I’ve gained a dog, he’s gained a bigger pack and my mate can relax knowing his pup is happy. Bobby is an intelligent, responsive dog who is eager to please and like all Labs, LOVES company and family. When I’m unable to help out, there’s an arrangement in place for Bobby to stay at someone else’s house, who also has a dog (a 3 year old border terrier called Baxter) on occassion, I’ve looked after both dogs which has been brilliant. People who have demanding jobs shouldn’t go without the pleasure of a dog, but the care arrangements have to be solid to ensure the four legged member of the family is happy and secure. We spent a long time talking about when we could get a dog then by chance I saw an add for puppy sitting in the local paper. I spoke to the lady for quite a while on the phone and set up the puppy sitter before I found a pup. We picked up our bundle of fur on the first day of the summer holidays as I’m a teacher. I managed to spend a full 7 weeks with him. I was a nervous wreck the first day the puppy sitter came to collect him and I went off to work. The dog walkers are a husband and wife team so they share out the walks and are able to take out the dogs in different groups according to their needs. He gets picked up at about 9am and dropped off between 5 and 6 in the evening. They give him two long walks and spends the rest of the day with them. When we’ve gone away and not been able to take him with us he simply stays the night with the dog walker. It costs a bit but without the reliable help of our dog walker we would not be able to have all the joy he has brought into our lives. For the first year and a half that we had our Lab I worked two part time jobs, one of which was primarily from home. I made an effort to come home as often as possible between both. Thanks to that job Bailey wasn’t home alone for more than 6 hours (we also have 2 cats do she’s never really alone). I went back to work full time 6 months ago when my husband went back to school. Last semester there were two days where Bailey was home for about 8 hours. On those days we went for a 3 mile run. There’s no evidence that she had issues coping. Any destruction we returned to was no different than her usual trouble-making which can take place even if we’re in another room. Our schedule works for now but I’d likely consider other options when he returns to work full time. Though that would likely be around the time we have children and considering the high cost of US childcare I’ll probably end up staying home anyway. I wasn’t single when our lab turned up so I was kinda dropped into being a single dog mum when I split with my partner. I wasn’t about to just give her up so luckily I was able to find family members to help by popping up at lunch times to let her out and give her a walk around the block each day. If that failed then I came back on my lunch breaks. She also has a cat companion so I think deep down she doesn’t feel totally alone. The radio is also left on. We have always both worked full time and have had two German Shepherds and now a Labrador. Our strategy is to take a long walk in the morning (1.5 – 2 hrs) and then they are happy to sleep all day. Our lab is now 14 and no longer very active so we have arranged for a sitter to let her out briefly and then just keep her company for about an hour. I have a now 9 year old black Labrador and from a young age he has always been home alone during the day. He has access to the garden and is alone from around 8am sometimes until 6-7pm (Normally someone is home at 4pm) I have never known him to chew anything or toilet inside the house. He has always been as good as gold and seems unaffected by being alone for this time. We always walk him before or after we go to work and often both. hi there, my hubby and myself have a 1 year old Lab, and his done most of the naughtiness this site mentioned. We take him on play time and dog school during weekends and lots of jogging and nature walks + play ball when ever we can during the week (full time employed). He has a lovely garden to play in during the day. But he never really did harmful things out of frustration, but more something moved him to do it. e.g. garden digging, because he smelled the fresh compost or tore washing of the dryer on really windy days. But since our family members got their Boston Terrier, the naughtiness has increased x10. Now its bad. Even with all the Play time etc. I always believed that 2 dogs are worst than just 1 dog. Proved my point. With our first two dogs I was able to be home for them after about 5 or 6 hours due to picking kids up from school. When they were puppies they were crate trained and when they were older they just stayed in the basement with minimal temptations and no problems if an accident occurred. Our 14 year old passed away recently but our 12 year old is still going strong. We have a new chocolate puppy, 5 months now, and no worries because my husband is now retired. That was part of the deal, I didn’t think it was fair for the dogs to be home alone for so long and since I knew he would be home I felt it was fine to start with a new puppy. Years ago when Ollie was a puppy and I was also working full time, I’d come home during lunch break, spend 1.5hrs with him, and go back to work. I went straight home after work, walked and fed him before going out again, if I were. Lots of sacrifice, but totally worth it. We have a 6 month old female lab and my fiancé and I work full time jobs. We have succesully crate trained her. We would make arrangements to come home during our lunch hour to at least play with her and let her out to use the restroom. If we weren’t able to go home from a busy schedule at work, my fiancé’s brother would come by during the early afternoon to keep her company. She tends to sleep during the day anyway and is most hyper at night so it has worked out for us thus far. We are lucky enough to work from home, but we’ve always had a dog walker to come in and check on the dogs during the day and burn off a little of that mid-day energy. It’s worked for us.